Lightning safety should begin before the lightning arrives. 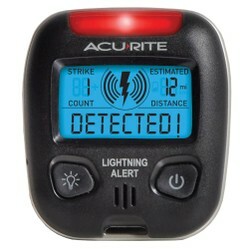 Lightning detectors give an early warning so action can be taken while there is still time. And they are inexpensive. Lightning can be dangerous, but the danger can be reduced. Basically, lightning is electricity, and electrocution is a possibly, especially since the current flowing is much larger than what is normally encountered. But, before one can take precautions it is first necessary to recognize that lightning is possible at a given time. So, being able to detect lightning is a first step, and can be the clue that precautions are needed. In a large convective storm the electrical charge becomes separated in a cloud that contains ice. A layer of negative charge forms beneath a layer of positive charge. When this happens the charge has successfully been separated in the cloud, and lightning becomes possible. In addition, electrons in the ground are repelled by the closer negative layer, causing a positive charge to form under the cloud. When the charges are large enough the electrons in the negative layer move towards a positive layer. If they go to the ground we have dangerous cloud to ground lightning. If they move upwards we have cloud to cloud lightning. 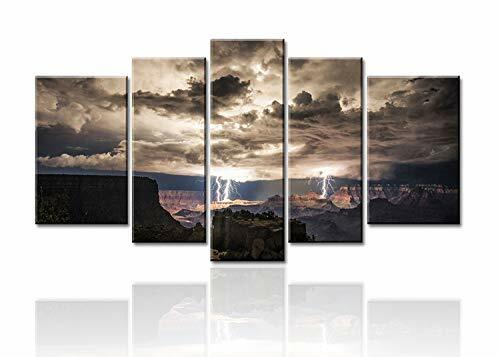 Lightning is more frequently cloud to ground near the beginning of a storm, and less so after the storm has been passing, but the danger always remains. When the electrons move through the air they push on the electrons of air molecules while pulling on the positive nuclei of the same molecules. In this way lightning literally separates electrons from the molecules of the atmosphere. The charged particles act like a conductor, so when the lightning reaches the ground the excess electrons repel each other back up the same air column, becoming ground to cloud lightning. But, when the cloud receives too many electrons there is a repeat of movement down the same column, and so on. This results in alternating current. Lightning is attracted by concentrations of positive charge, and there are pockets of charge in the atmosphere that give the lightning bolts changes in direction on their way down. If there is a concentration of charge on the ground lightning can be attracted to strike at that location. Charge does not spread evenly in a conductor, but concentrates where curvature is greatest. Hence, lightning strikes flagpoles, people, and trees. Buildings have lightning rods that are designed to be struck, often pointed on the top. Do not shorten the path of lightning by standing outdoors or holding conducting material overhead, nor go near things like trees that do shorten the electrical path. If lightning is present stay indoors, and away from open windows and doors, and metal chimneys. If caught outdoors get near something that is grounded, such as a large building that contains building steel. Vehicles are relatively safe, but not because the tires insulate them. Vehicle are often safe because the charge on the metal does not cause an electric field in the cabin. This is why airplanes can be struck by lightning and suffer no damage. And, never hold a conductor upward outdoors when lightning is present. Avoid touching metal fences. And if you cannot get indoors avoid trees and make yourself as low as possible. Another safety rule is to not use electrical appliances, telephones, or water when lightning is present. If it strikes a wire or pipe the charge can ride along to you. Finally, if in a boat leave the area if possible. We can have a warning. Actually, as lightning strikes the ground the electrons spread out. The lightning bolt itself causes a magnetic field, and the charge in the ground responds to an electric field. Animals have sensed these subtle changes and taken notice of coming lightning for many years. In fact the black spaniel, and she is real, vibrates in response to weather. Some plants give off an odor as they respond, probably in preparation to receive the water that will fall on them. Better than watching a dog or other animal looking for signs of a thunderstorm we can now use lightning detectors. Areas where people perform outdoor activity on a regular basis should install a lightning detector capable of picking up subtle changes in electrical or magnetic fields. 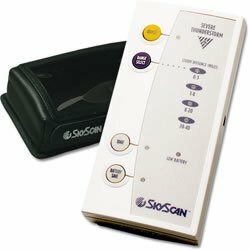 These can be made sophisticated enough to trigger an audible alarm. 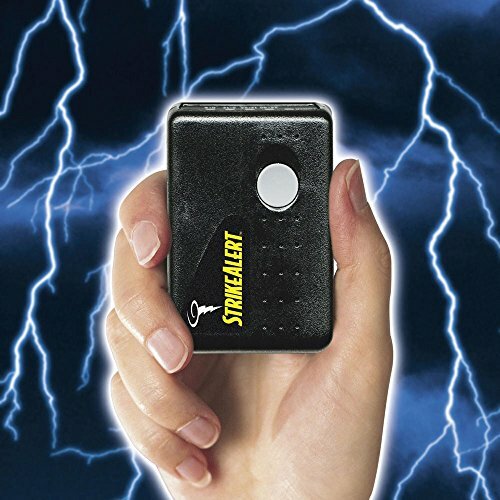 For your own safety you can purchase a personal, portable lightning detector. These are inexpensive. But, they can save your life if you are engaged in an outdoor activity. They can also estimate the distance of the lightning strike. Always read the products’ description. Some can even detect if a storm is approaching or leaving. I suppose some people think lightning striking a person is a rare event, but the risk is real. I have come close to lightning twice in my life. I shall relate the stories. When I first started college I found myself in a large auditorium. I knew one person in the class, although not well. We had been in high school together. He was in a similar situation, so we sat together. In the middle of the second semester I opened a newspaper and found his picture on the front page. He had been struck by lightning while playing baseball. He did not survive. Had lightning detectors been in use back then, but they were not yet invented, perhaps he would have survived. The game would have been called off. In the second case I was in my office at the university where I was teaching when I heard a loud noise. A few minutes later I heard another. They sounded like explosions. I had no window so I went to a room where I could see out, and found campus police, local police, and an ambulance crew working on someone. It was raining, and we were in a thunderstorm. Soon reports came back that three students were struck by lightning as they walked between buildings. Two survived, the other did not. In this case the thunder was particularly loud because it was close and because it was not muffled by rain. Two bolts of lightning preceded the thunderstorm striking before rain began to fall. Not every bolt of lightning stays beneath the cloud, some move out. Taking the narrow passage between the island and the land ensured that we were surrounded by higher points that might take the impact of a strike. We still feared that it would hit the trees, but we could not avoid them. Getting closer to the cliffs made us feel safer, then we landed the boat and raced through the intensifying storm to our hotel. That night was the worst lightning storm that I have experienced. Two walkers in Mid Wales were killed recently on the same day independent of each other by a sudden lightning strike on the exposed summits of the Brecon Beacon mountains. Such fatalities are rare in Britain. I can think of a case some years ago when a climber on an exposed ridge in Scotland was hit by ball lightning. He saw it coming up the ridge at him, but there were deadly drops on either side, so he could not evade the threat. It hit him, and it took several hours to carry him down to Glasgow, where he made a full recovery. People tend to underestimate lightning. You did the correct thing in seeking selter and avoiding the tall trees. One of my closest encounters with lightning came when I was rowing on Derwentwater, when lightning struck the lake a hundred yards away from us. As we were on a boat we were at a relatively high point on the surface and therefore in danger. We hurried shorewards aiming first to get under the lee of an island with tall trees and then to hug the small cliffs of the shoreline. The aim of this was to ensure that we were not the highest point. I have also been in mountains when lightning struck somewhere not far above us. We turned round and descended. We get over 60 inches f rain in an average year, and often get those afternoon thunderstorms as well. Yes, these are helpful devices, but I would think those less familiar with thunderstorms would be more at risk when there is an encounter since the experience is out of the norm. Really, these are great for anyone. 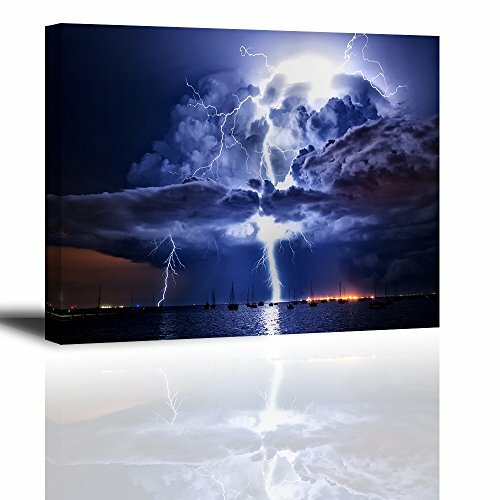 We live in Florida, which has more lightening strikes per square mile than any other state. This time of year, we have afternoon thunder storms at least several times a week. It's not unusual for the weather radar to record upwards of several hundred lightening strikes per hour. A detector for early warning would be most useful!